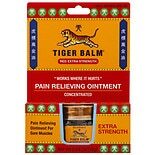 Shop Tiger Balm Pain Relieving Ointment (.63 oz. ).63 oz. $779$7 and 79 cents$12.37 / oz. 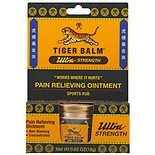 Shop Tiger Balm Ultra Strength Sports Rub, Concentrated (.63 oz. ).63 oz. $849$8 and 49 cents$13.48 / oz. 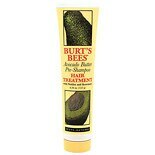 Shop Burt's Bees Hair Treatment (4.34 oz. )4.34 oz. $1079$10 and 79 cents$2.49 / oz. The health benefits of certain oils can be attributed to its many helpful properties, and this is especially true for clove oil. This oil is used for treating a variety of health disorders, including coughing, asthma, toothache, headache, stress and blood impurities. The most important use of clove oil products is in dental care. Several toothpastes, mouth wash and oral care medications contain clove oil as an important ingredient. Essential oil is the product of the plant from which is was extracted. This and clove oil have many uses and are excellent to include in any first-aid kit. The active ingredient in Orajel, known as eugenol, is derived from the clove plant. It has been used for generations to treat oral pain. The oil is extracted from the bud, leaf, and stem of the plant and possesses antiseptic, analgesic, antibacterial, and local anesthetic properties. This all-natural oil is vital in keeping the mouth healthy and relieving pain.